The Garden Fixer is a well established garden maintenance business servicing Mandurah and surrounding suburbs operated by Maurice and Gillian Martelli. We are proud to have also developed a strong working relationship with Forrest Personnel since 2014. 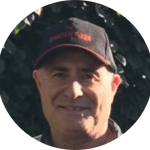 Maurice has been working in the garden maintenance industry for over thirty years and established The Garden Fixer in Mandurah over 5 years ago. Since then the business has grown through a determined commitment to excellent customer service, competitive prices, reliability and quality work. Maurice has horticulture qualifications and is an Accredited Waterwise Specialist. Most days he will be out working with the team and his eye for detail ensures that you will not be disappointed with the finished job. 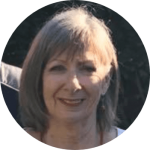 Gillian is behind the scenes answering your e-mails and processing all aspects of the business administration. Our workers are identified by their Garden Fixer Shirts. We have a team of workers all of whom can be identified by their Garden Fixer Shirts.